Many musicians fail to realize the incredible capabilities that come from utilizing a high-quality ribbon microphone. Instead of using a condenser or dynamic microphone, using a ribbon microphone will help you capture the subtle qualities of your performance and the room in which you are recording. A ribbon microphone will also smooth out your recordings, especially if you are recording “harsh” instruments like a brass section or a heavy-hitting drummer. In essence, adding a ribbon microphone to your arsenal will enhance your ability to produce a smooth, natural sound while adding a lively aspect to the performance. Slim where most ribbons are large and bulky, this ribbon mic reproduces a warm, natural, and smooth sound that many experienced audio engineers and recording engineers use to capture that “vintage” sound. I have been involved in audio since the age of 12, recording myself and others for compensation. I currently attend American University, the best school for audio production in the United States of America, pursuing a degree in audio technology and computer science. My experience in audio ranges from recording several bands at American’s state-of-the-art studio, to creating audio plugins, synthesizers, and other programs or modules that involve computer science. My current side project is creating an audio plugin by using a motherboard called an Arduino. Before we dive into the intricacies of a ribbon microphone, it is important to understand what a microphone is tasked with doing. A microphone is a complex transducer. It is a small machine that converts sound pressure waves (or levels) into electrical current in an attempt to store or process data. This has been done in a variety of ways, stemming back from Thomas Edison’s phonograph or gramophone. The ribbon microphone was created by Harry F. Olsen while he was working at RCA in the late 1920s. Prior to the invention, the recording industry relied on technology that was unreliable, did not produce a flat response, and ultimately created a revolution in the audio and recording industry. In short, the clarity of the ribbon technology was unmatched when comparing to the condenser microphones of the 1920s. The impact of the first ribbon microphones are still heard today, as many audio engineers worldwide utilize many of the earliest designs (the RCA PB-31, RCA 44A, and RCA 77A/77B/77C/77D) for recordings that are released today. There are primarily two types of ribbon microphones: an active ribbon microphone, and a passive ribbon microphone. An active ribbon microphone is built on the principle underlying a condenser microphone. However, not all active ribbon microphones require the phantom power or +48V that is required to ensure a condenser microphone will work. An active microphone utilizes higher levels of electricity in an attempt to “condition” the microphone prior to recording. This will decrease the sensitivity to any impedance between the microphone preamp and the ribbon microphone. This sensitivity is then put towards retrieving signal from a sound source and improving consistency in the process of capturing sound. A passive ribbon microphone is more common and are usually utilized when you are looking to capture the most intricate details of any recording. These microphones have been used in large amounts since their inception based on their great ability to reproduce the quietest sound. On the other hand, they have many shortcomings. The ribbon microphone follows the basic principles of microphone design. However, the difference lies within the intricacies of the design. Where a dynamic microphone will utilize a wire coil, magnet, and a thin diaphragm. 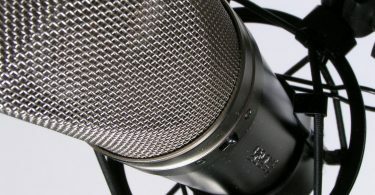 A condenser microphone will utilize a charged plate instead of the coil. The ribbon microphone takes these properties and creates the most sensitive environment made to capture audio. Instead of a wire coil, or plate, the ribbon microphone integrates a thin aluminum ribbon that will move when sound pressure waves are in the vicinity. Unfortunately, this ultimate sensitivity comes with an assortment of downsides, but not necessarily problems. The general sensitivity of a ribbon microphone is not confined to the aluminum ribbon, every aspect of the ribbon microphone is sensitive. A ribbon microphone is the least durable microphone, in fact, some are so fragile that they will break if dropped. This is primarily due to the thin ribbon’s lack of mass. The thinner an object is, the less impact it can withstand. The ribbon microphone is known to record audio at very low levels. This increases the importance of gain staging when utilizing a ribbon microphone in your repertoire. Using a ribbon microphone requires patience, and intention, this is because a ribbon microphone will gradually decay if you plug it into a “hot” plug, or apply phantom power to the microphone. There are a variety of microphone manufacturers producing active ribbon microphones who are integrating the ability to withstand phantom power so be aware of the type you purchase. Who Should or Shouldn’t Purchase A Ribbon Microphone? As one may understand by now, the ribbon microphone is limited in application. If you are primarily a recording musician without any ambitions of playing live shows, this will be a great microphone to include in your studio. An audio engineer must have at least one microphone, if only for recording room noise. Due to the sensitivity, clarity, and overall quality, the ribbon microphone is usually a great choice for recording room noise. 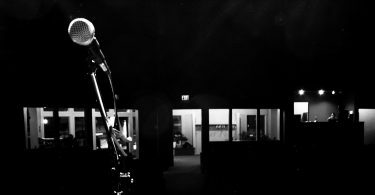 Alternatively, a live musician should never consider using a ribbon microphone on stage unless you have money to spare on replacements. As previously noted, the ribbon microphone is the opposite of a durable microphone. I made the mistake of setting up a live show with a ribbon next to a dynamic microphone for the singer, and the ribbon microphone failed to survive the two-hour show. 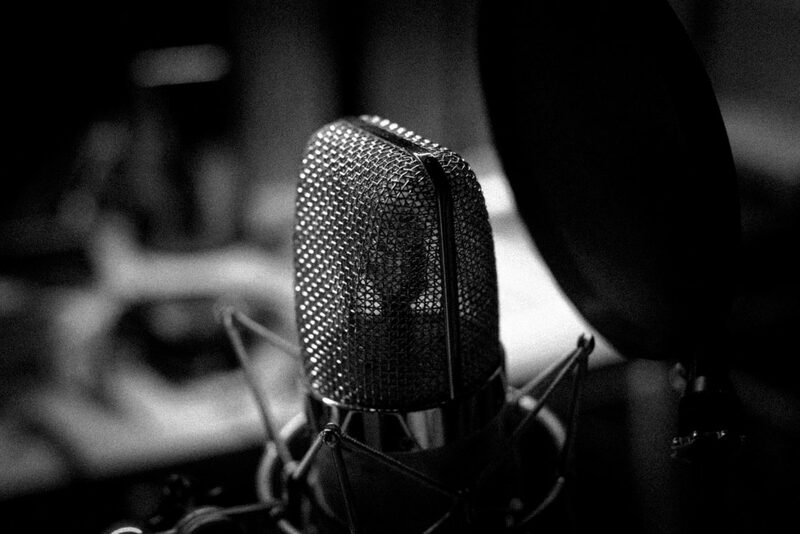 There are four main aspects of a microphone: the frequency response, polar pattern, response curve, and SPL handling. The frequency response will explain what frequencies a microphone can transduce. This ranges from low to high. You want to compare this range to two things, the human hearing spectra (20Hz-20kHz), and the general instrument frequency you tend to record. As an example, if you plan to record drums you require a microphone that records from 20Hz-20kHz in contrast to a vocal microphone that would work well between 80Hz-15kHz. It is important to make a clear distinction between frequency response and the response curve. The response curve explains how a microphone reproduces certain frequencies. For example, condenser microphones are known to display the phenomenon known as the “proximity effect.” This is when a sound source will retain higher levels of low frequencies as it moves closer to the microphone. Because of this, it is important to retain clarity when shopping for any microphone because it will ultimately affect the entire recording if the microphones attenuate low or high frequencies. Lastly, the SPL handling of a microphone explains the level of sound pressure that a microphone’s transducer can withstand. This is easily understood in ribbon microphones because of their fragile nature. Unfortunately, there is no strict guideline to what microphone can handle as far as SPL is concerned, so it is vital to understand this concept. Using a microphone with a low SPL for recording drums will leave you frustrated due to the high amounts of distortion that will come from it. Or worse, your microphone could completely break (although, I have never witnessed this myself). It is common knowledge within the audio industry that Royer Labs creates among the highest quality microphones in the world. The Royers 121 is the flagship ribbon microphone that has been used on a variety of recordings and utilized in various applications ranging from video to music to game audio. This microphone is among the most versatile and affordable ribbon microphones (as far as ribbons are concerned). Since the release in 1998, the ribbon microphone has been used because it is slim where most ribbons are large and bulky. It goes further than most ribbon microphones by reproducing a warm, natural, and smooth sound that many experienced audio engineers and recording engineers use to capture the “vintage” sound that many artists look for. The 121 is more rugged than most ribbon microphones. This is primarily due to its compact and sleek design. The specifications of the Royers 121 are incredible in itself. Like most ribbon microphones, the 121 is only capable of reproducing sound through an 8-figure or bidirectional polar pattern. However, this microphone provides a superior output level, comparable to most dynamic microphones. This is all completed while producing a flat frequency response which makes the Royers a perfect all-encompassing microphone for almost any purpose. 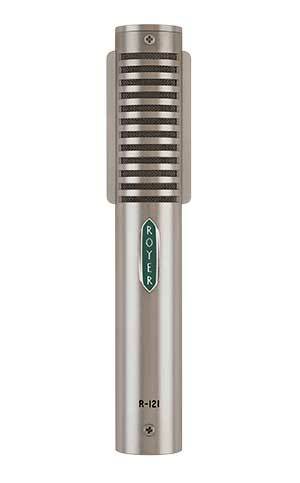 Royer labs boast that you can utilize this microphone in any capacity ranging from “cranked electric guitars” to “close-up brass” as well as drums. In my personal experience, I have used the Royers 121 in jazz settings, recording trombone within a 2-foot distance. I do not know how it withstands the drums aside from being utilized as a room microphone (where it produced a natural and warm recording that sounded better than the original). This gives the ribbon more space to move as it encounters sound pressure, and truly separates the 121 from its contenders because it allows the 121 to be used in any recording setting. These characteristics also improve SPL handling and the ability to maintain perfect frequency response in the process. You want to search for a durable ribbon microphone that maintains a flat frequency response. Many ribbon microphones will maintain a tradeoff between these two features. These are key features to understand when purchasing any microphone. There is no conclusive “best” microphone. However, many contemporary microphones come very close to providing great quality for relatively inexpensive prices. The unfortunate reality of most ribbon microphones are the costs associated with acquiring one. Alternatively, Avantone has created a ribbon microphone that falls under $500. Although the CR-14 is uncomparable to the 121, this microphone will give you an idea of what a ribbon can accomplish. This is the primary reasoning as to why I would recommend this to anyone. Utilizing this as your first ribbon microphone will allow you to understand how vintage microphones were used. This is primarily due to the “value-driven” nature of the CR-14. The CR-14 tends to fall between the $200-$400. Many ribbon microphones are used in a stereo form. As stated previously, many ribbon microphones will be used to record the room instead of an actual instrument. By utilizing a ribbon microphone in this way, you ultimately accentuate the performance rather than record a perform. The Royers SF-12 was created for this specific purpose. 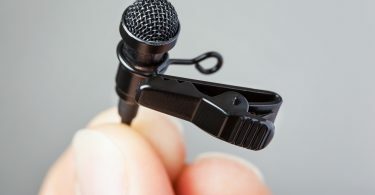 The SF-12 is actually two microphones in one body, relieving you of worrying about positioning and other aspects of recording that can be tedious. Unfortunately, this microphone will cost the equivalent of many microphones. The SF-12 will usually cost anywhere from $2400-$3500 depending on the distributor and time of year. Cutting-edge: The SF-12 offers something distinct: stereo recording without needing two separate microphone bodies. Durable: These two ribbon microphones can handle a rough time. 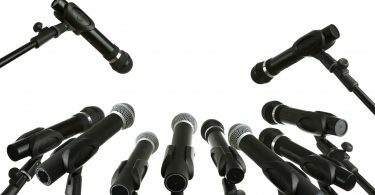 Inflexible: this microphone is not intended for many purposes. You will usually find the microphone left in the closet. 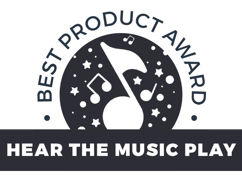 Third-party requirements: the SF-12 requires a high-quality preamp. 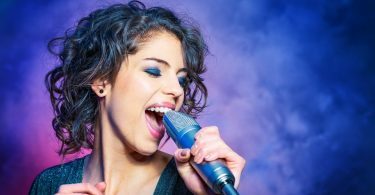 For Singing Out Loud, What Are the Best Wireless Microphones?